Sometimes, a picture tells a thousand words. 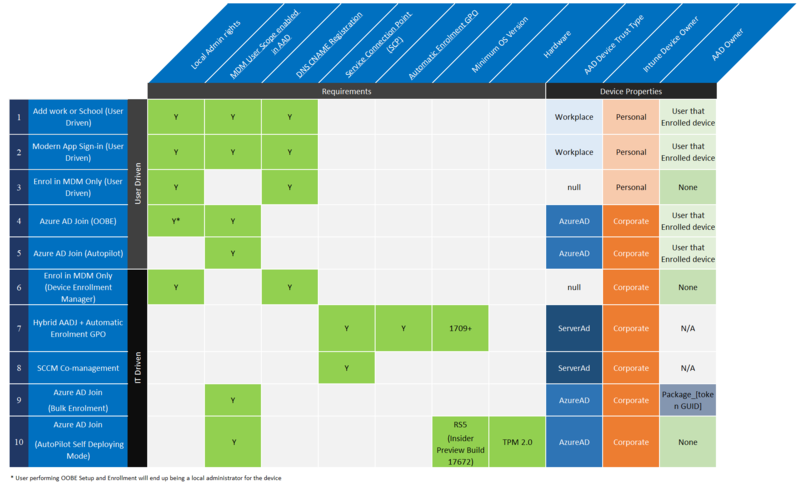 In this case, the above graphic illustrates ten different ways to enroll a Windows 10 device into Intune, Microsoft's Cloud MDM and it's probably reasonably safe to assume there could be 100 words to describe each of the ten methods, so 1000 words seems about right for the above image! I saw the above image and blog post on LinkedIn this morning and thought how applicable that is for the Education sector, where there are many permutations on how devices end up on a school network and varying levels of management applied to each. Schools, perhaps more than almost any other sector, have huge levels of BYOD (Bring Your Own Device), mixed in with school owned/leased devices and mixtures of platforms (Win10, MacOS, iOS, ChromeOS, Android). It's obvious to all that each successive release of Windows 10 has more MDM hooks and greater control via Intune. 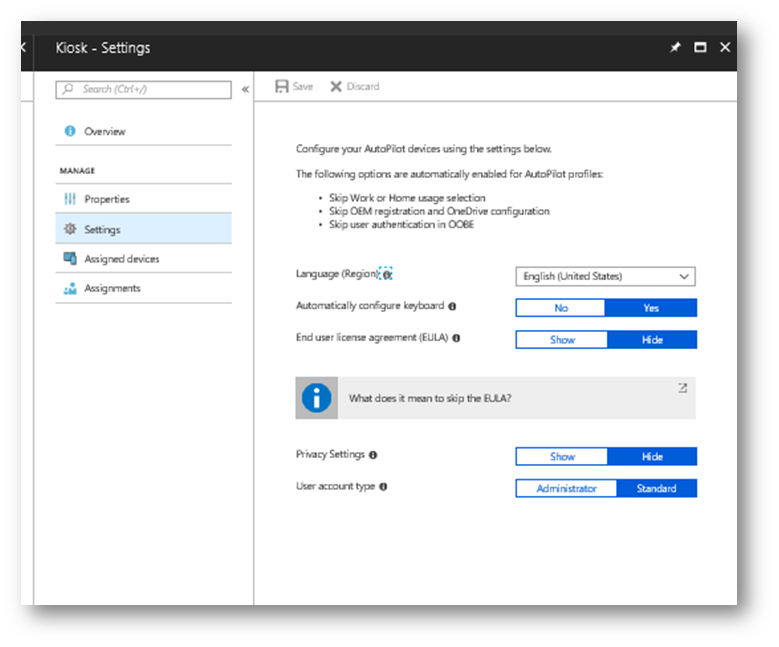 Understanding the correct pathways to enroll a device into Intune is important and there is now a wide range of options depending on the type of user and who owns the device. I was talking to a school in Australia last month where there is a lot of SCCM in large schools - scenario 8 deals with that perfectly. Similarly, in May/June of this year we did many "Trial in a Box" where we demo'ed scenarios #4 and #9 showcasing to schools the quickest way to get school owned/leased/managed devices enrolled and managed into Intune. If you're responsible for managing Windows 10 devices in your organisation, spending some time reading the original blog post and associated documentation linked from it, would be time well spent.